advice on low memory line please. Braid & Shock Leader ? Daiwa Tournament ST line, Suffix Elite & Duo Core ? Shock Leader... Yes or No? 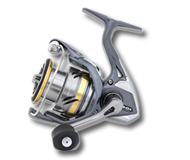 Tapered shockleader to standard reel line ?? Can someone please recommend a line? PENN Super Long Distance Surf line ! is my line to big? Whats good fishing rig mono?